The need of the hour is to protect the environment and to face the challenge of keeping consumers in fold. The green movement across the globe is spreading at a faster rate. Consumers occupy a central place since their awareness and motivation continue to drive change in market place significantly through the induction of eco-friendly products. Indian consumer in general when compared to the global land has always been less aware of environmental issues. Green marketing a popular concept is spreading in India at a faster rate creating awareness among the consumers about the need and necessity of protecting the environment. Awareness has to be created among consumers and marketers about deteriorating level environment causing heavy loss may be human arrival and nature loss. Further, already it has been warned that in next 5 years’ time there may be further damage to be environment which may bring tragic consequences on human beings across the globe. Already the globe is experiencing severe global warming, greenhouse gas emission, water and air pollution. All these things occur only because of using natural resources at a faster rate. The green marketing incorporates a wide range of activities such as modification of the product, product development, change in packaging style, use of recycled paper as well as modifying advertisement etc. Green marketing is a holistic universal marketing concept wherein the production, marketing, consumption, disposal of products and services happen in way that is less detrimental to the environment with growing awareness. An awareness among the consumers and marketers has to create about the simple definition in economies. “Human wants are many but the nature is niggardly”. The ungenerosity, reluctance to give has to be well understood in a positive sense. 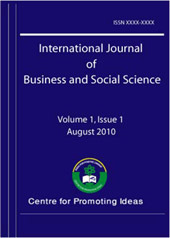 An attempt is made in this paper to study about environment degradation, awareness of eco-friendly products, promotion of green products and influence of social factors on purchasing decisions.